What a strange name, you might ask. 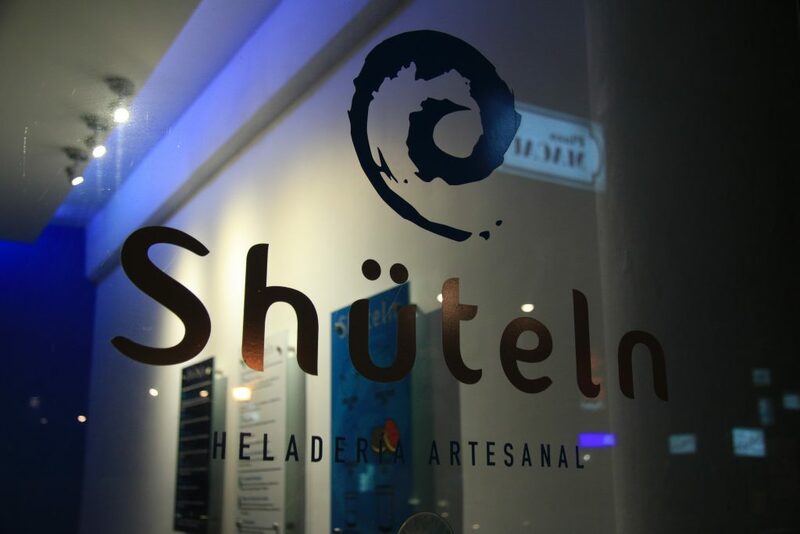 Shüteln means “to shake” in German and perhaps the idea is that the strange and wonderful flavor combinations are created to shake up your taste buds? 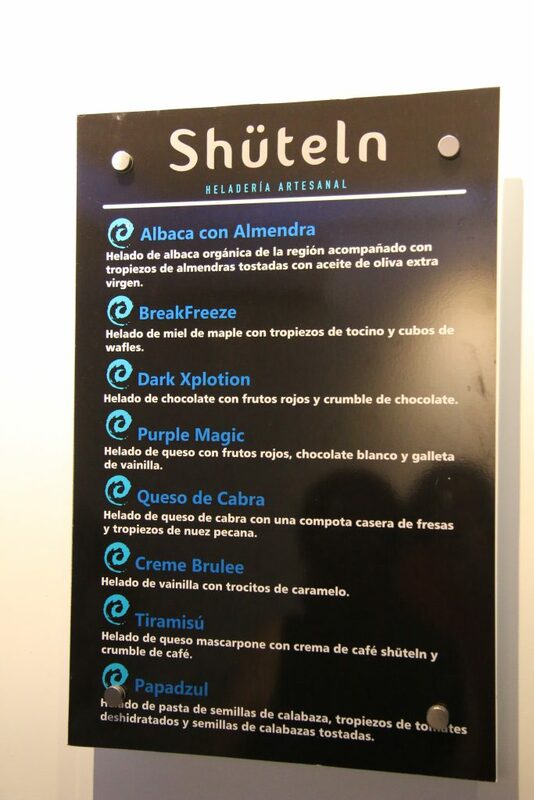 But Shüteln is the most amazing ice cream shop. 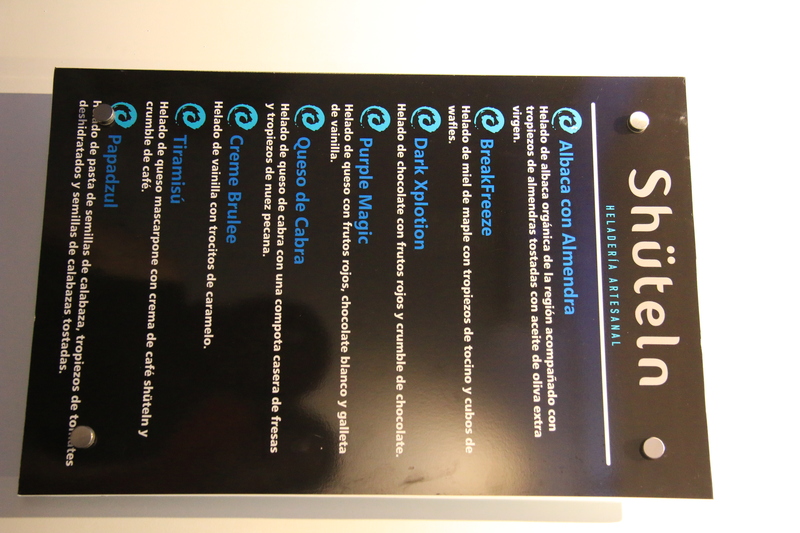 It’s owner has studied gastronomy and specialized his efforts in… ice cream. Really. 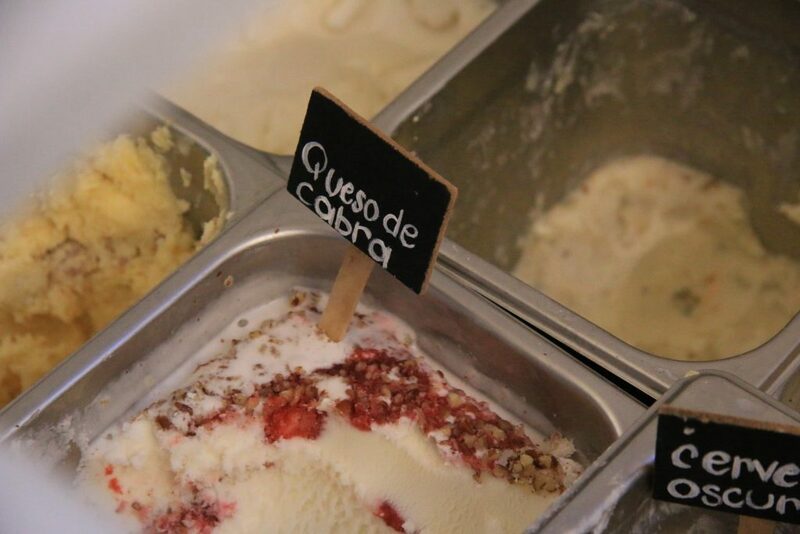 Going as far as Argentina to find out what makes the best ice cream the best. 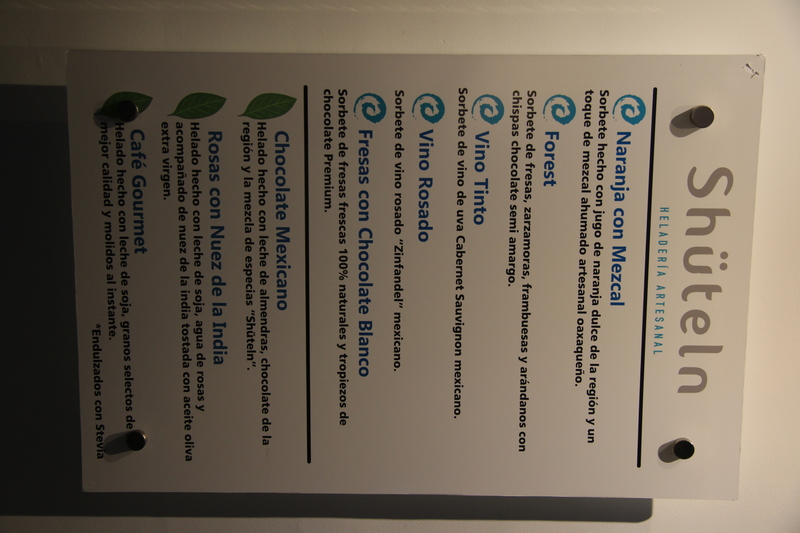 The Critic tried his ice cream for the first time at Las Yuyas, where they have the exclusive contract to sell papadzul ice cream. How the hell one can possibly turn this classic Yucatecan dish into an ice cream is beyond the Critics’ comprehension, but it really is the most amazing thing to experience this creamy, sweet, ice cold treat with hints of egg, pepita and even tomato. And when the Critic visited Radio Station Pizza he was amazed to discover the ice cream shop right next door, which meant leaving room for dessert. The papadzul ice cream was sampled yet again, along with a most amazingly refreshing red wine sherbet, a goat cheese and strawberry creation and almond-basil. Better Half had the cajeta as well. 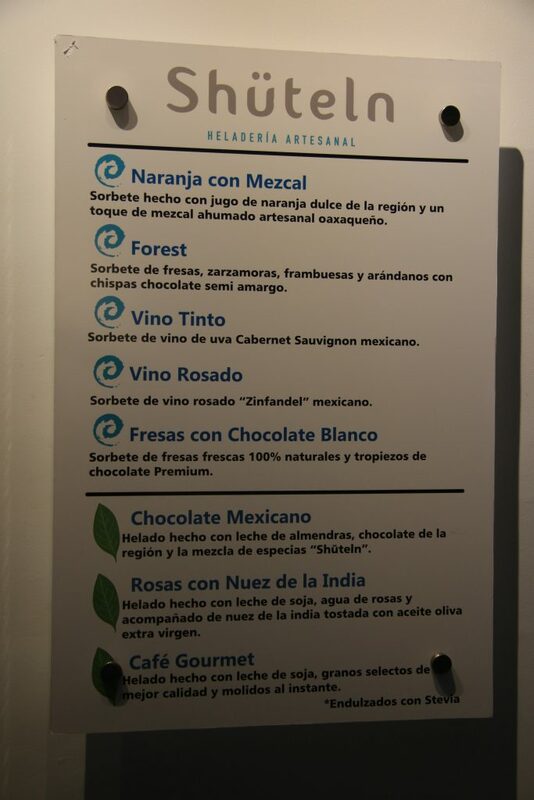 All of these were truly incredible and it was difficult to pick a ‘favorite’. As comedian Brian Regan would say “they’re all (both) favorites”. Another winner. 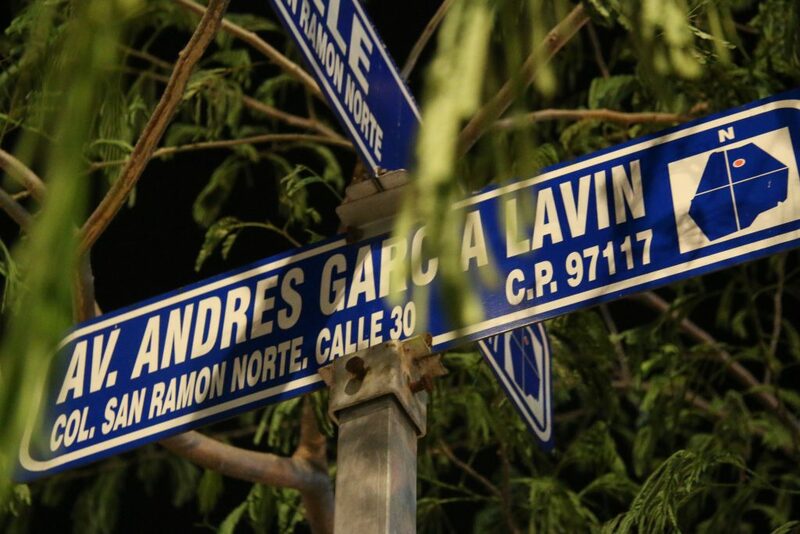 This place is also in Plaza Macao, on the Garcia Lavin avenue, between the pocito roundabout and City Center near the periferico. Their Facebook page is here. They were amazing! The type of Ice Cream you would taste in NYC! 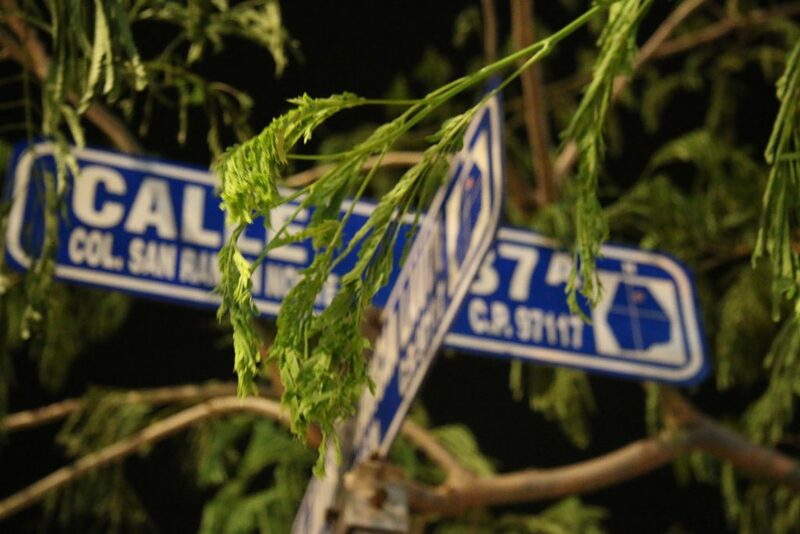 We love this place – we carry both his basil almond and cashew rose petal flavors! Hi Michael, great stuff yes! He has created a carrot cake ice cream that I tried – it was pretty darn good I must say! !